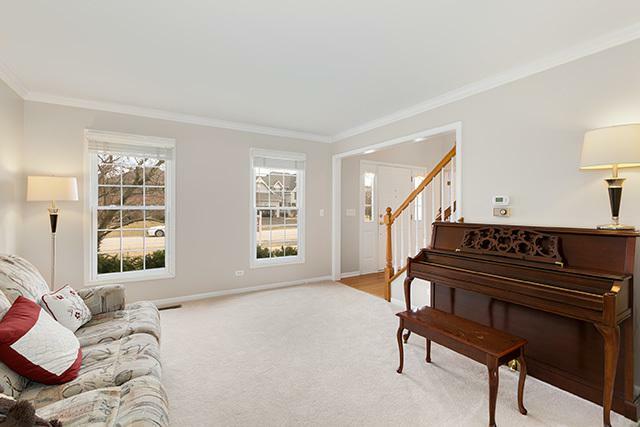 Nice and spacious 5 bedroom home in Harmony Grove in sought after Neuqua Valley High School district 204. 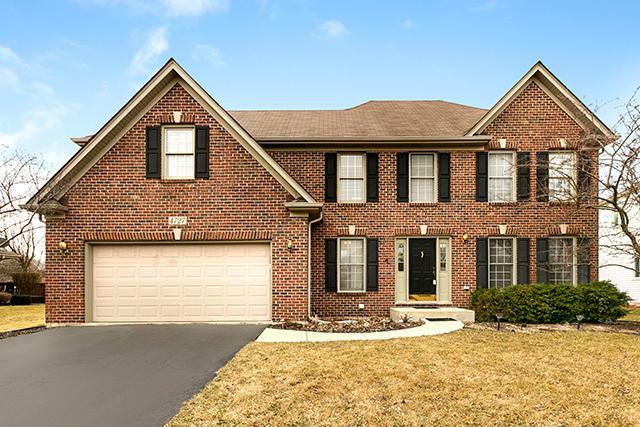 Beautiful 2 story foyer with gleaming hardwood floors, living room w/crown molding & separate dining room. 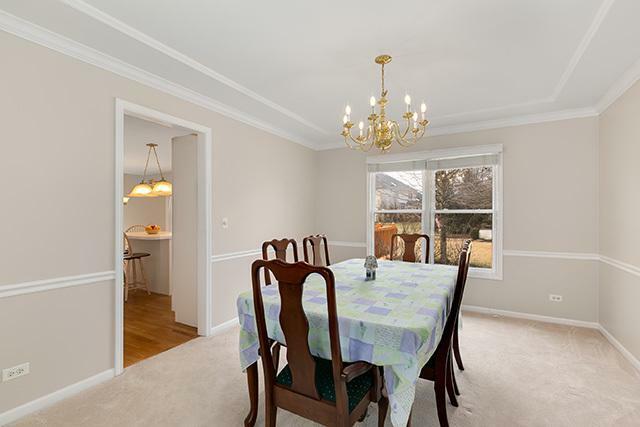 Open floor plan featuring spacious kitchen w/double oven, cooktop, new window, large island and hardwood flooring. 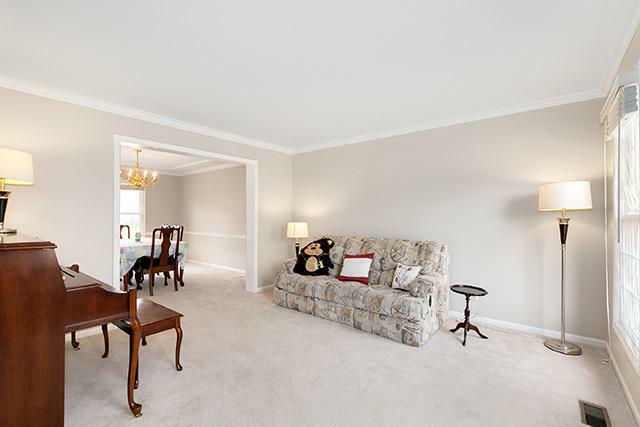 Family room has vaulted ceiling with two skylights, brick fireplace and plenty of sunlight throughout the day. Master bedroom w/vaulted ceiling & luxury bath with double vanity, corner whirlpool tub, WIC, separate shower & skylight. Bedroom 2 is large with private sitting area and hall bath also with skylight. Basement is finished w/BR#5 or office. Enjoy your Summers on the beautiful deck. A great home close to shopping on Rt. 59 and minutes from I-55.